Christophe Lemaire collaborates with Bean Pole for Autumn/Winter 12, creating Novö, a collection inspired by the designer's love of European New Wave. The follow-up to a collaboration by Kim Jones for the Korean brand, it sees playful prints of electronic symbols, windowcheck with disruptions – “we like the idea of little accidents”, hidden plackets, industrial labcoat pockets, jewel-like plexiglass badges and brilliant tailoring. It sets the mood for an authentic line of streetwear, fixated with culture – from the clothes to the compilation CD that Lemaire has curated – featuring DAF, Chris and Cosey – and the lookbook shot in Paris by Christophe and his team; all angles and a sparse environment puncuated by shapes. Snaring Liberty and b Store in its first season, Novö isn't purely Londoncentric, with Coggles, Flannels and oki-ni.com set to stock the line too. A new wave in more ways than one. Dazed Digital caught up with the designer in London to talk about the allure of the cold, and industrial. Dazed Digital: Can you tell us about the mood of the collection? Christophe Lemaire: I love fashion style to be rooted in culture, music in particular; I’m very sensitive to music, I used to be a DJ. Bean Pole proposed me to continue a collaboration, which they started with Kim Jones and immediately I had this mood in mind. I thought it’d be interesting to create this new streetwear, very clean and graphic in industrial grey, chemical yellow, black and white, white and black. We called it Novö – I’m not sure if you had this name in England – but it was describing these very specific cold, electronic, industrial vibes in the early 80s. DD: Was it something you were into as a youth? Christophe Lemaire: Yeah. Very much. I’m still a teenager, somewhere. [Laughs]. And with the compilation we mixed early 80s with 90s and even five years ago, so it’s something that has influenced very contemporary music. DD: Has Novö allowed you to explore a different facet of your design? Christophe Lemaire: It’s a little bit like going back to what I used to do for men before – my mainline evolved to something a bit more mature, timeless. I’m very happy with this project because it addresses a younger consumer. Now I tend to erase too obvious references to music with my own line but for this specific collection with Bean Pole I thought it was interesting to bring something edgy, creative – and very referenced – to casual streetwear. DD: Streetwear is a massive language but there's a lot around at the moment that tends to be just a surface, not linked to anything deeper. Which misses its point. Christophe Lemaire: And the problem a lot of the time with casualwear is that a lot of things look like each other. It’s good to bring something a bit different. But still I hope making sense for everyday life. Christophe Lemaire: I just love music and I was always very curious and sensitive towards it. I started fashion when I was DJing, when I was young – then I had to choose between night or day! [Laughs]. I tried to combine both but it didn’t work. Somehow, especially for menswear, I always found more style in the music scene than the fashion scene. But you British now about that. I found it more inspiring to go to a gig than a fashion show. It has a much more instinctive approach to style and musicians dress more ‘free’. And therefore more authentic. In my design work I always integrate references to music and I was much involved with fashion show production and music, of course. I still play music from time to time, make compilations or radio programmes. DD: You began at Yves Saint Laurent. How was that? 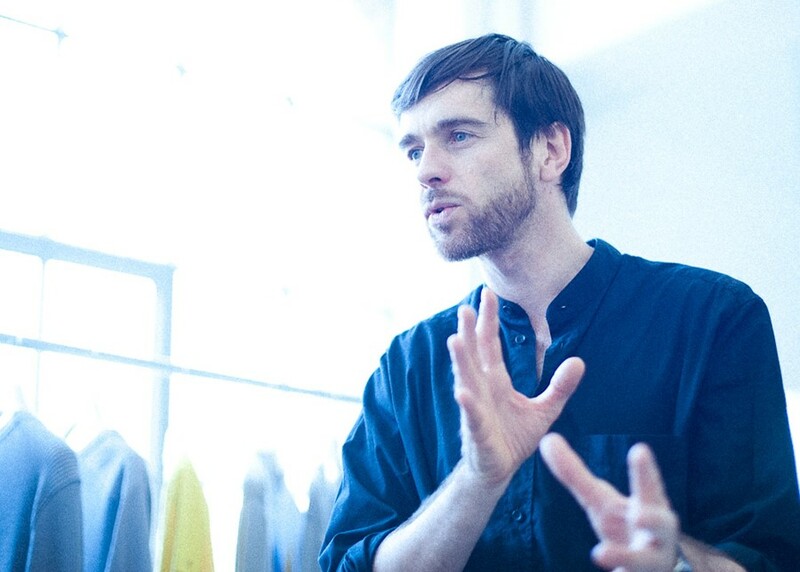 Christophe Lemaire: I was on an internship. I grew up a bit with Saint Laurent because my grandmother was always dressed in Saint Laurent, my mother too, so for me it was on my mind. My uncle was a French Vogue director and I grew up in this kind of environment. From a very young age I was fascinated and it was a big chance for me to be an intern there. DD: Like music has a story, with Saint Laurent there is one too. And that’s why it’s special, one of the ultimate fashion houses. Christophe Lemaire: I think so. The beauty with Saint Laurent is that it’s not only about clothes but understanding the woman and the life she has. [Monsieur Yves Saint Laurent] has been a genius in bringing about something real. It’s very much about culture too, a passion for art and travelling. I was very young and lucky enough to work and see him in the studio, three days before the show. This was in 1985, a very interesting experience. Christophe Lemaire: Yes, that is a great experience too! It’s a beautiful house. You know, when I work for a brand I naturally bring my taste and style but I very much put myself at their service, because I like to make things that make sense. I don’t like fashion when it’s just about circus and extravaganza and noise and no meaning. We all need to do things that make sense.